You are doing good services for the investors at CHENNAI.Please do this services for other parts of TAMILNADU also. 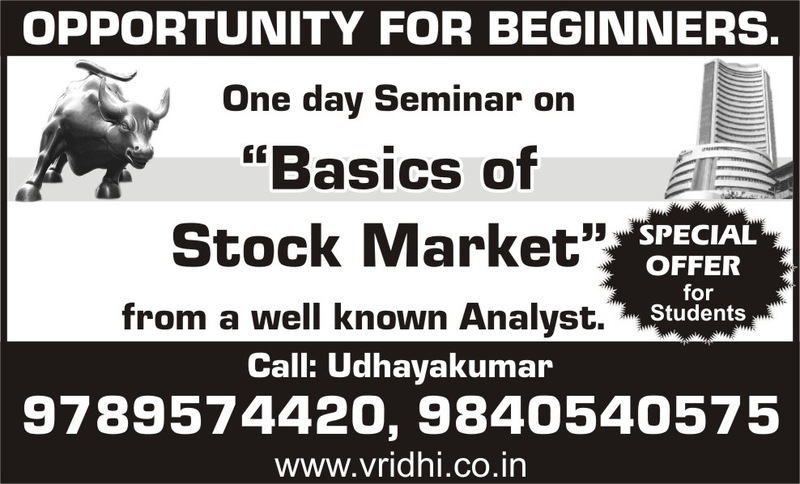 I would like to know about stock market and its operations viz., buying and selling of shares, Demat account, managing portfolios and so on. I am working as a Manager in an IT concern. Please let me know if you were providing training regarding stock markets. Contact me at ***** and I am based at T.Nagar.